Looking for deals in Strasbourg? Located in Strasbourg, in a building dating from 2018, Hôtel ORIGAMI offers a bar and guestrooms with free WiFi. I loved my stay at the hotel! The rooms are big and spacious and perfect for couples. The location is also very convenient, since it's one tram stop away from the main station, and then you walk for 2 minutes. I found the rooms to be spotless clean! And the bath is a delight! The employees are very helpful, Pascal in particular was very nice! Would recommend it for Strasbourg. Set in a historical building of the 18th century, this hotel is located in Strasbourg, only 656 feet from the city center. With free Wi-Fi, it also offers a business center and private parking. the breakfast quality is great. the bed is comfortable. the location is very close to petit France. only walking distance. friendly service. overall, recommend ! Ideally located in the center of the city of Strasbourg, across from the cathedral and next to the historic district of La Petite France, the Hotel Gutenberg has free Wi-Fi access in public areas. This place was amazing! Perfect location and the staff were so nice and accommodating! The Novotel Strasbourg is located just opposite Grande Ile, the historic center of the city. It offers air-conditioned guest rooms with a flat-screen TV and free Wi-Fi internet access. The room was very clean and the staff was extremely nice and accomodating. The Kleber Hotel is located in the historic city center of Strasbourg. It offers nicely decorated guestrooms with flat-screen TV and free internet access. The staff was super helpful, the location was unbeatable and it was a great value. Located in the pedestrian area around Place Kléber, the historic Maison Rouge features ancient stained-glass windows and rooms decorated with individual character. Few steps from the Christmas Market. Easy access from the Train Station. 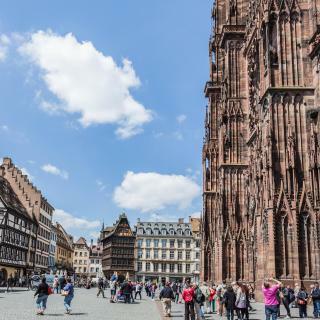 Hôtel Diana Dauphine is just 2461 feet from Strasbourg Cathedral and a 10-minute walk from the Petite-France quarter of the city. It features a 24-hour reception and free WiFi throughout. Location was excellent and staff was extremely kind. Room was spacious! The Hannong Hotel is located in the heart of Strasbourg, just a 5-minute walk from the TGV train station, Petite France district and the Cathedral. It offers free Wi-Fi access. Hotel was in a great location and had great facilities. Staff was extremely nice. This hotel features 34 rooms decorated on specific-rose theme. They all include soundproofing and bright and spacious spaces. AMAZING place in Strasbourg. Location is great!! The staff is super friendly. This hotel is located in central Strasbourg, a 5-minute walk from the TGV train station and from Petite-France. It offers a wooden deck terrace and soundproofed accommodations with free Wi-Fi. Good location, convenient, great breakfast, nice room. The Best Western Monopole Métropole is located just a quarter mile from the Strasbourg Train Station, next to La Petite France district. Comfortable and spacious room. Very quiet hotel and very convenient. Located 2 miles from Strasbourg train station, Hôtel Ettenheim is less than half a mile from the Kammerzell House. We toured France from Paris to Germany and the Hotel Ettenheim was my very favorite! 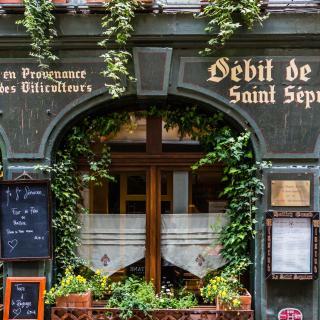 What are the best hotels in Strasbourg near La Petite France? Some of the best hotels in Strasbourg near La Petite France include LIFE RENAISSANCE - New Concept, L'Atelier and Le Nid de l'Ill, Magnifique Duplex Petite France. Which hotels in Strasbourg have nice views? Pavillon Régent Petite France, Boutique Hotel Des XV, and Hôtel Régent Petite France & Spa got great room view-related reviews from travelers in Strasbourg. How much is a hotel in Strasbourg for tonight? On average, it costs $86 per night to book a 3-star hotel in Strasbourg for tonight. You'll pay around $113 if you choose to stay in a 4-star hotel tonight, while a 5-star hotel in Strasbourg will cost around $204, on average (based on Booking.com prices). 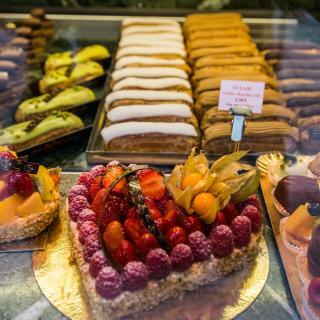 Which hotels in Strasbourg offer an especially good breakfast? For hotels in Strasbourg that serve highly-rated breakfasts, try Boutique Hotel Des XV, Hotel Arok, and Hôtel ORIGAMI. How much is a hotel in Strasbourg for this weekend? The average price per night for a 3-star hotel in Strasbourg this weekend is $181 or, for a 4-star hotel, $321. Looking for something even fancier? 5-star hotels in Strasbourg for this weekend cost around $578 per night, on average (based on Booking.com prices). Which neighborhood is the best one to stay at in Strasbourg? Quartier Européen - Orangerie, City-Centre - Petite France, and Neudorf - Port du Rhin are popular with other travelers visiting Strasbourg. 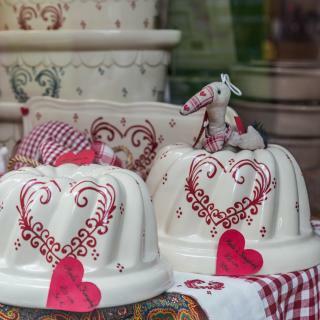 Which hotels in Strasbourg are good for couples? These hotels in Strasbourg are highly rated by couples: Hotel Arok, Boutique Hotel Des XV, and Hôtel & Spa Le Bouclier D'or. How much does it cost to stay in a hotel in Strasbourg? On average, 3-star hotels in Strasbourg cost $135 per night, and 4-star hotels in Strasbourg are $215 per night. If you're looking for something really special, a 5-star hotel in Strasbourg can be found for $363 per night, on average (based on Booking.com prices). Which hotels are the best ones to stay at in Strasbourg? Cour du Corbeau - MGallery by Sofitel, Hôtel Les Haras, and Hôtel ORIGAMI are some of the popular hotels in Strasbourg. What are the best hotels in Strasbourg near Entzheim Airport? 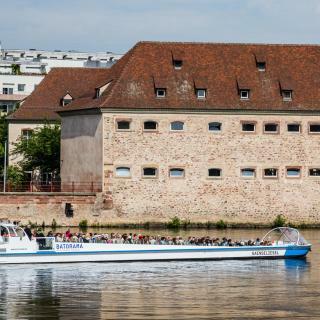 Travelers who stayed in Strasbourg near Entzheim Airport (SXB) have said good things about Hotel Père Benoît, Hotel Roi Soleil Strasbourg Aéroport, and Kyriad Hotel Strasbourg Lingolsheim. Which hotels in Strasbourg are good for families? Many families visiting Strasbourg loved staying at Cour du Corbeau - MGallery by Sofitel, Hotel Arok, and Boutique Hotel Des XV. Situated on the banks of the River Rhine, Strasbourg is the capital of the Alsace region of France. The medieval city center, Grande Île, is a UNESCO World Heritage site and houses the glorious sandstone Strasbourg Cathedral and picturesque timber-framed buildings. The Cathedral of Our Lady is the tallest medieval building in Europe and one of the finest examples of Gothic architecture. It features a remarkable façade, one of the largest astronomical clocks in the world, stunning stained glass windows, and a terrace with panoramic city views. Enjoy a pleasant walk in the medieval streets of the old town, or visit the charming Petite-France district. Here are some of the range of Strasbourg restaurants serving Alsatian specialties like beef and pork stew with potatoes and carrots, paired with a local beer or regional white wine. At the crossroads of European culture, cosmopolitan Strasbourg is home to numerous international organizations including the European Parliament, as well as one of the oldest European universities. Strasbourg International Airport is easily reached from other international airports, so book your hotel, apartment or bed and breakfast through Booking.com and experience an unforgettable stay. We were pleasantly surprised with our hotel which was very close (two blocks) from the main railroad station. It is a small, modern hotel with a friendly and very helpful staff. It turned out that twice a year there is a flea market which happens all up and down the street. It was just wrapping up as we arrived on the street of the hotel. We ended up buying some interesting things before ever getting to our hotel entrance! The breakfast was very good with a variety of choices. One touch which we found charming as well as rather inspiring was that quotes had been painted on all the doors. Our room though small was comfortable and the bed had a wonderful mattress. The bathroom again was small and too close to the bed but very modern and clean with an excellent shower. Only drawback to the rooms on the street side is that there is a lively crowd out late at night on the weekends. The sturdy duel glazed windows kept the sound out and the room was supplied with a standing fan in case the temperature outside warmed up as it did while we were in Strasbourg. Problem solved. Ask for a room on a higher floor. There is a lift. This hotel is in an excellent location not only close to the train station but also within easy walking distance from Petite France, the river, the tram line, the Art Museum, the Cathedral and main shopping area. We really enjoyed our three day stay in Strasbourg and this hotel added to our enjoyment and ease of getting around. We knew nothing about this hotel but would certainly go back there when returning to Strasbourg in the future. Great Hotel for the 1-2 nights stay. Great Hotel for the 1-2 nights stay. Infrastructure of the hotel is little too simple for a four star hotel. There was no elevator, the air conditioning would not turn off, there was no ventilation in the toilet. We had room 36 which was a nice room with bay windows. We had room 36 which was a nice room with bay windows. It had a newly renovated bathroom and was great value for money. Even though it was newly renovated the bathroom was missing a toilet roll holder, shower head holder and tissues would have been nice. The wood floors were quite dusty and the walls had some marks that should have been cleaned up. The hotel internet was very patchy and weak so it was hard to get a signal but our room was better than other rooms. There is no elevator but there are many floors so I wouldn't recommend taking too much heavy luggage with you. It costs €1 for 3 hours street parking and something like €3 per day. There was a city tax of 80c per person added on top of the room rate at the end of our stay. Strasbourg old town is not so far away and easily walkable. I would stay here again. We did a great tour of the Alsace wine tour through Alsascope (that our hotel arranged last minute for us!). We also visited Montagne de Singes (and fed popcorn to monkeys!) which if you have a car and love animals, I would highly recommend (although note that driving in Strasbourg can be stressful). Strasbourg also has incredible places to eat. We just wandered in to each one and not one place disappointed. I miss it already! At Christmas market time, the city is a zoo. Park your car and take the tram, or go to Strasbourg by train in the first place. There is a row of hotels across from the station, and from there trams go to the old city. If you crave American food, try Franky's American Diner for burgers, shakes, and Elvis tunes. For music, check church doors for concerts or recitals. There are two movie theaters in the old town--Take a chance on a French movie whether you understand the language or not. Above all, TAKE A MAP. Less than 5min walk from train station, with Carrefour and many eateries in the streets below. The room for my family of 4 was clean and spacious enough, although the bathroom was quite tiny. 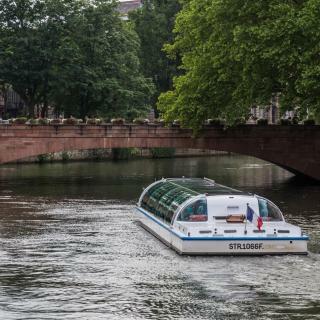 During the day, most of the activities were nearer to the town square / Strasbourg Cathedrale (about 15-20 mins’ walk from the hotel), while in the evening activity & scenic restaurants were nearer to La Petit France (10mins’ walk from the hotel). But the walks are nice in the summer weather! This place is very central to any place in Strasburg, easy walking distance to the cathedral to petite France to train station. It’s easy to get to if traveling train or by car. Parking our car was easy and cheap. The room was comfortable, yes it’s on the smaller side but we were not spending tons of time in our room. The city is too beautiful to spend time in your room. The bed was comfortable and I slept well!!! Receptionist was very friendly and helpful. We were so pleased we booked here after looking at hotels for hours and we definitely made the right choice. 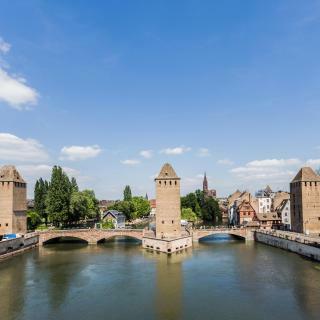 It’s a small hotel with very friendly and helpful staff and is in an excellent location right near to the river and the centre of Strasbourg where the cathedral is. The station is a 20 minute walk so easy to get around. Our twin room was nice, beds very comfy and a beautiful new bathroom with decent hairdryer. The outlook was very nice too. Amazing location, 5-10 minutes walk away from Petite France and the Cathedral. The room was very tidy, stylish, with big kitchen and air conditioning. Our host Duan was great, he picked us up despite our very late arrival (11pm), explained everything about Strasbourg and recommended lots of program and restaurants according to our needs. All in all it was a great experience and I would recommend this place to everyone. The hotel is in a great location, the City Center is about a 10 minutes walk from hotel. Petite France is a 5 minutes walk, there are several restaurants and coffee shops around Hotel. The rooms are small but very comfortable specially the bed and pillows. I highly recommend this hotel in Strasbourg. The Gare Strasbourg station is within walking distance from hotel about 15 minutes walk. The hotel is very modern and a lot of thought has been put into the design of the rooms to make it very user friendly. 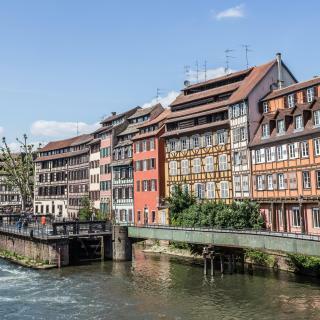 It is also in a convenient location, close to the tram station which is only one stop away from the train station and a few stops away from Strasbourg centre. When checking in, the receptionist gave us a map and explained very clearly which tram we should catch. I had a business visit to Strasbourg. I spent 2 excellent nights at the hotel. A perfect comfortable room. The staffs in reception, restaurant and room service are nice and very helpful. The location of the hotel near the Centre of the city is excellent for any purpose you need for restaurants, works or shopping. - The location is really close to the attraction area especially Petite France. - Clean room and comfortable bed. - Breakfast is reasonable price and good quality. And you can easily find breakfast near by the hotel. - There are limited free carpark in front of the hotel and public car park behind the hotel. Incredible location, super friendly and helpful staff and just the most beautiful hotel. Great breakfast too! We'll be back and highly recommend this as a base for exploring Strasbourg. Valet parking was a nice touch and our room was stunning, comfortable and huge! Location, location, location. Right on the square my room overlooked the cathedral and the many cafes and shops near by. This was an excellent base for exploring Strasbourg. The hotel was clean, comfortable, and the staff was very friendly and accomodaribg6. It was a pleasant surprise that the staff could speak English, it is rare in Strasbourg. The hotel is within walking distance from petite france and the room was clean and comfy, with fridge and aircondition. We will book again for future visits. A nice room with a modern bathroom in an old, traditional hotel in the very heart of Strasbourg! The location is ideal, two minutes from the Cathedral and five minutes from Petite France. Great location, facing train station, walking distance to all of the City Center, including Petite France. Clean and stylish, fun little boutique hotel. Delicious breakfast. The bed was comfortable, the neighborhood was pleasant and quiet. There were restaurants and grocery stores in walking distance. It was away from the old section of the city, perhaps a 15 minute pleasant walk. The hotel directory of local amenities was very thorough. I loved the neighborhood. It was in the Jewish Quarters so there were many kosher restaurants to eat from. Very cultural!